In 2001 the city of Louisville launched its very first “trolley hop,” taking visitors and locals throughout the downtown corridor to several galleries and the few restaurants that were in the area. Fast-forward to today, and that same concept is still going strong, with the addition of the all new electric “green” ZeroBus, of course. The original “trolley hop” began primarily as a “gallery hop,” and focused on the amazing art community here in Louisville. Today the First Friday Hop incorporates many diverse downtown establishments, but that same wonderful art community has remained through the years. In a tribute to those artists, galleries, and original community members that helped build the original “trolley hop,” the First Friday Hop is hosting a Throwback Gallery Hop event to coincide with the regularly scheduled June Hop. The Throwback Gallery Hop will feature six (6) Hop member galleries and their art exhibits, along with RYE and Old 502 Winery offering wine by the glass available for purchase at each of the following art galleries along the Hop. 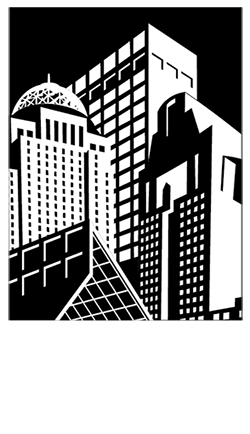 Downtown Louisville is the place to be on Friday, June 5th, 2015. Hop on any ZeroBus for a FREE ride to the six Throwback Gallery Hop locations, as well as the 50+ unique boutiques, artists, and restaurants along the Republic Bank First Friday Hop route on Friday, June 5thfrom 5:00 PM – 11:00 PM. Hosted by the First Friday Hop, the 1st annual Throwback Gallery Hop will highlight six (6) art galleries along East Market Street (NuLu). Refreshments will be available in each gallery, with RYE pouring wine by the glass (available for purchase) provided by Old 502 Winery.Fun fact: RYE and Old 502 Winery are also First Friday Hop members! · Garner Narrative – 642 E Market St.
· Green Building Gallery – 732 E Market St.
· Paul Paletti Gallery – 713 E Market St.
· PYRO Gallery– 909 E Market St.
· Revelry Boutique Gallery – 742 E Market St.
· Swanson Contemporary – 638 E Market St. Admission is to the galleries is free. Wine by the glass may be purchased. Find more information about each gallery and their featured artist below. Paul Paletti Gallery: The mission of the Paul Paletti Gallery is to educate the public about photography as a sophisticated art medium that is varied, beautiful, and highly collectible. Our gallery sets an aesthetic and scholarly standard for the display and sale of artworks to support and educate collectors and the public, and serves as an educational resource for photographers, teachers, and students. Pyro Gallery: Part of the original core of NuLu galleries, PYRO Gallery’s roots run deep in the neighborhood. PYRO is an artist-owned and operated gallery with 22 current members. 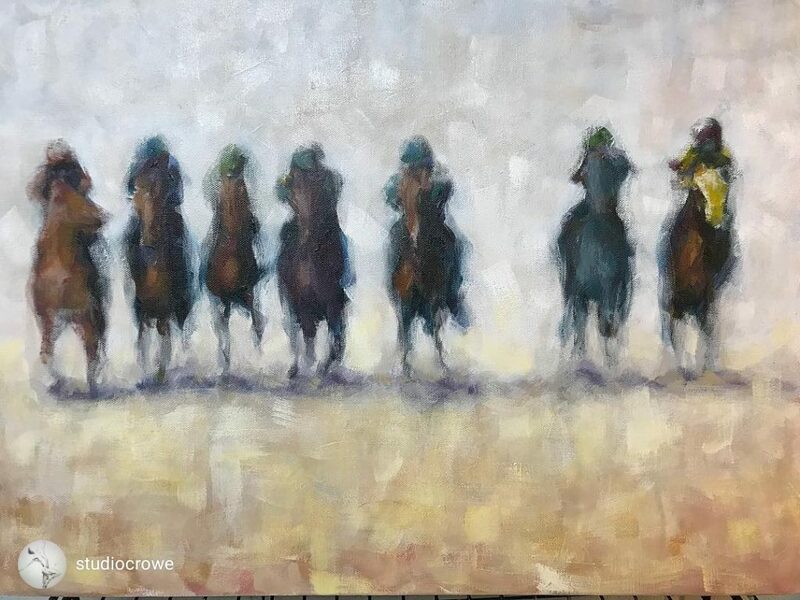 Working in many different styles and media, the diverse group of professional artist members guarantees a lively assortment of available work to visitors and collectors. Exhibitions rotate every six weeks so frequent visits will offer patrons consistently new viewing experiences. Join us on the First Friday Gallery Hop every month! The Green Building Gallery: The Green Building Gallery is a contemporary fine arts gallery located in The Green Building at 732 East Market Street in Louisville, KY, in the heart of NuLu, Louisville’s premier arts district. Swanson Contemporary: Began operating in the spring of 1998 as only the second gallery in what is now referred to as Louisville’s “East Market Gallery District.” The gallery has showcased contemporary national and regional artists with an emphasis on energetic and challenging works in video, installation, photography, conceptual art, painting, performance, and sculpture. Garner Narrative: Garner Narrative celebrates art with generative messiness and personal-political content. These are some hallmarks of a committed studio practice, in which fluid personal truth is defined through artmaking. Joyce Garner’s “Big Paintings” opening. Show runs through July 31. Revelry Gallery: Revelry Boutique Gallery loves our local art community. We promote artists in the area through festive art openings, media, our online store and our brick and mortar shop at 742 E Market St in NULU. We take pride in showing the incredible talent Louisville and our surrounding areas have to offer. Revelry will be offering a free Forecastle mug for any purchase over $50! Artist Rose Flowers will be doing Henna in the front window for Hop-goers. Also featuring a show by artist Bob Lockhart. Down One Bourbon Bar – $2 off of Bourbon flights from 4pm – 7pm on Friday, June 5th. St. John United Church of Christ – The church will be open for tours of their Gothic sanctuary. Come see the Tiffany window! They will also have artists on campus. Looking for a wedding venue? This is a great time to see the church! The church welcomes everyone – you can select your own Officiant and Musicians. The church supports LGBT. 637 East Market Street, 40202. The St. John NuLu Theatre – FREE concert beginning at 6:30 p.m. Performers are Johnny Shah, Kelly Newton and Bradley Hinkle. Featured artists are Melody Hankley, Steve-o Shepherd, Ahtune McCollum, Alexis Brown and Jeremy Slaven. 629 East Market Street, 40202. Cressman Arts Center – The organic nature of art – through subject or medium – is on display at the latest faculty art exhibit at the University of Louisville’s Cressman Center for Visual Art. Featuring camera-less photography images of weeds and nature-themed Victorian hair art made from human hair, horse hair and synthetic hair, “Phytophilic” showcases the work of UofL art professor Gabrielle Mayer and fellow artist Gale Wisdom. It will run from June 5-July 18 at the Cressman Center, 100 E. Main St.
Block Party Handmade – Bicycle themed exhibition: Opening on June 5 during the First Friday Trolley Hop is a new group exhibition at Block Party to celebrate bicycles! Green transportation and the environment are important and Block Party is excited to host an exhibition dedicated to that theme. This group exhibition will include local artists: April Boyd, Jordan Perciful, Marissa Perciful, Jae Grady and Caroline Ennis. 560 South 4th Street, 40202. 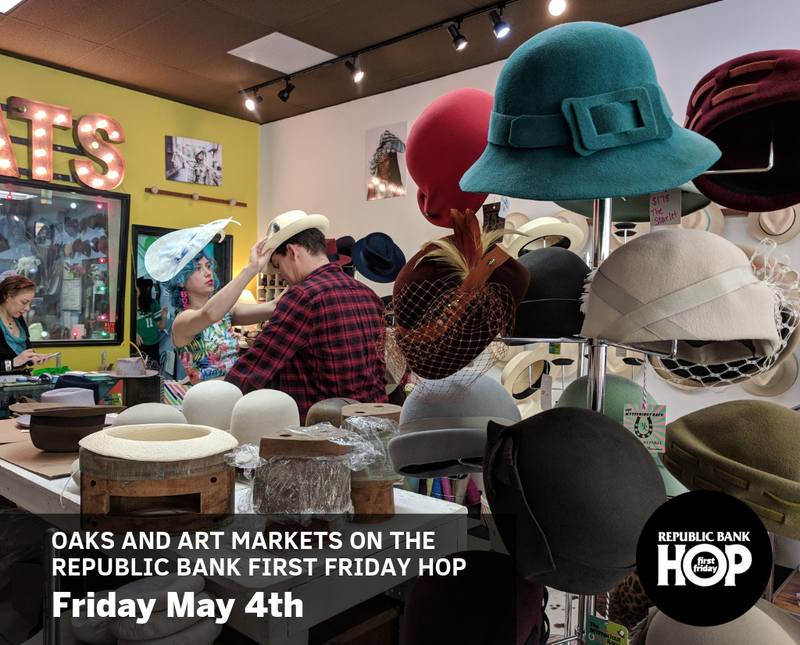 The Republic Bank First Friday Hop event is Friday, June 5th, 2015 and includes downtown art galleries, retailers, and restaurants that will be open extended hours with specials/discounts and refreshments. Ride the First Friday Hop in style by “hopping” on our brand new, eco-friendly, zero-carbon ZeroBuses , which replaced the old trolleys in February. Each First Friday night, the new ZeroBus drops you off at all the best shopping spots downtown has to offer. Riding the First Friday Hop is fun – and it’s FREE! 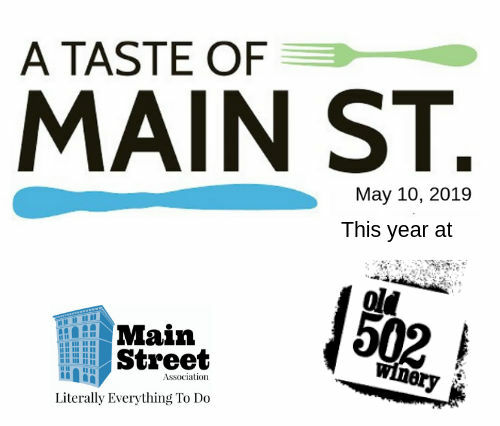 This family-friendly and open-to-the-public event takes place on Friday, June 5th from 5:00 PM – 11:00 PM along the Main/Market St corridor and South 4th Street. Every First Friday of every month, downtown Louisville art galleries, shops, boutiques, restaurants, and entertainment hot spots are open extended hours with specials, discounts, refreshments, and live music. Hop on the ZeroBus for a free ride to a stop near each member location. The ZeroBus is powered by batteries located under the bus floor. The ZeroBus can travel for up to two hours and fully recharge on route in less than 10 minutes. It recharges automatically by connecting to an overhead system that links to a high-capacity charger. The ZeroBus vehicles travel downtown circulator routes in place of the outdated trolleys – the highest polluting vehicles now in TARC’s fleet. Like the trolleys, they arrive at stops frequently and all rides are fare-free. The ZeroBus is also the new mode of transportation for the popular Republic Bank First Friday Trolley Hop on Main, Market and Fourth streets.